What is a surge arrester? Surge arresters are devices that help prevent damage to apparatus due to high voltages. The arrester provides a low-impedance path to ground for the current from a lightning strike or transient voltage and then restores to a normal operating conditions. A surge arrester may be compared to a relief valve on a boiler or hot water heater. It will release high pressure until a normal operating condition is reached. When the pressure is returned to normal, the safety valve is ready for the next operation. When a high voltage (greater than the normal line voltage) exists on the line, the arrester immediately furnishes a path to ground and thus limits and drains off the excess voltage. The arrester must provide this relief and then prevent any further flow of current to ground. The arrester has two functions; it must provide a point in the circuit at which an over-voltage pulse can pass to ground and second, to prevent any follow-up current from flowing to ground. The overvoltages produced on the power system due to switching are known as switching surge. The most common case of insulation failure in a power system is the grounding of conductors (i.e. insulation failure between line and earth) which may cause overvoltage in the system. The phenomenon of intermittent arc taking place in line to ground fault of a 3phase system with consequent production of transients is known as arcing ground. It occurs in an electrical system when inductive reactance of the circuit becomes equal to capacitive reactance. under resonance , the impedance of the circuit is equal to resistance of the circuit and the p.f is unity. In direct stroke, the lightning discharge is directly from the cloud to the subject equipment. From the line, the current path may be over the insulator down the pole to the ground. Indirect stroke results from the electro statically induced charges on the conductors due to the presence of charge clouds. The traveling waves produced due to lightning will shatter the insulators. If the traveling waves hit the windings of a transformer or generator it may cause considerable damage. The power station & sub-station can be protected against direct lightning strokes by providing earthing screens. On occurrence of direct stroke on the station ,screen provides a low resistance path by which lightning surges are conducted to ground. Limitations: It does not provide protection against the traveling waves which may reach the equipments in the station. It is the most effective way of providing protection to transmission lines against direct lightning strokes. It provides damping effect on any disturbance traveling along the lines as it acts as a short-circuited secondary. There is a possibility of its breaking and falling across the line conductors, thereby causing a short-circuit fault. It is a protective device which conducts the high voltage surge on the power system to ground. The earthing screen and ground wires fail to provide protection against traveling waves. 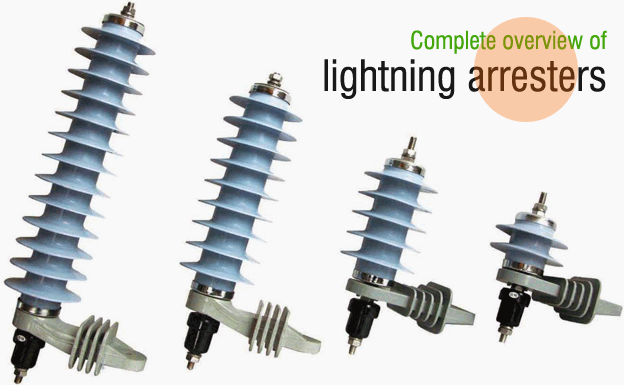 The lightning arrester provides protection against surges. Type 1 surge protectors are designed to be installed where a direct lightning strike risk is high, especially when the building is equipped with external lightning protection system (LPS or lightning rod). In this situation IEC 61643-11 standards require the Class I test to be applied to surge protectors : this test is characterized by the injection of 10/350 μs impulse current in order to simulate the direct lightning strike consequence. Therefore these Type 1 surge protectors must be especially powerful to conduct this high energy impulse current. Type 2 surge protectors are designed to be installed at the beginning of the installation, in the main switchboard, or close to sensitive terminals, on installations without LPS (lightning rods). These protectors are tested following the Class II test from IEC61643-11 based on 8/20 μs impulse current injection. In case of very sensitive or remote equipment, secondary stage of surge protectors is required : these low energy SPDs could be Type 2 or Type 3. Type 3 SPDs are tested with a combination waveform (1,2/50 μs – 8/20 μs) following Class III test. Station class arrestors are typically used in electrical power stations or substations and other high voltage structures and areas. These arrestors protect against both lightning and over-voltages, when the electrical device has more current in the system than it is designed to handle. These arrestors are designed to protect equipment above the 20 mVA range. Like station class arrestors, intermediate class arrestors protect against surges from lightning and over-voltages, but are designed to be used in medium voltage equipment areas, such as electrical utility stations, substations, transformers or other substation equipment. These arrestors are designed for use on equipment in the range of 1 to 20 mVA. Distribution class arrestors are most commonly found on transformers, both dry-type and liquid-filled. These arrestors are found on equipment rated at 1000 kVA or less. These arrestors are sometimes found on exposed lines that have direct connections to rotating machines. Secondary class lightning arrestors are designed to protect most homes and businesses from lightning strikes, and are required by most electrical codes, according to, Inc., an electrical power protection company. These arrestors cause high voltage overages to ground, though they do not short all the over voltage from a surge. Secondary class arrestors offer the least amount of protection to electrical systems, and typically do not protect solid state technology, or anything that has a microprocessor. Features (redundancy, differential mode, plug-in, remote signaling…). The surge protection selection must be done following the local electrical code requirements (i.e. minimum rating for In) and specific conditions (i.e. high lightning density). The earthing screen and ground wires can well protect the electrical system against direct lightning strokes but they fail to provide protection against traveling waves, which may reach the terminal apparatus. The lightning arresters or surge diverts provide protection against such surges. A lightning arrester or a surge diverted is a protective device, which conducts the high voltage surges on the power system to the ground. The earthing screen and ground wires can well protect the electrical system against direct lightning strokes but they fail to provide protection against traveling waves, which may reach the terminal apparatus. The lightning arresters or surge diverters provide protection against such surges. A lightning arrester or a surge diverted is a protective device, which conducts the high voltage surges on the power system to the ground. Fig below shows the basic form of a surge diverter. It consists of a spark gap in series with a non-linear resistor. One end of the diverter is connected to the terminal of the equipment to be protected and the other end is effectively grounded. The length of the gap is so set that normal voltage is not enough to cause an arc but a dangerously high voltage will break down the air insulation and form an arc. The property of the non-linear resistance is that its resistance increases as the voltage (or current) increases and vice-versa. This is clear from the volt/amp characteristic of the resistor shown in Figure above. On the occurrence of over voltage, the air insulation across the gap breaks down and an arc is formed providing a low resistance path for the surge to the ground. In this way, the excess charge on the line due to the surge is harmlessly conducted through the arrester to the ground instead of being sent back over the line. It is worthwhile to mention the function of non-linear resistor in the operation of arrester. As the gap sparks over due to over voltage, the arc would be a short-circuit on the power system and may cause power-follow current in the arrester. Since the characteristic of the resistor is to offer low resistance to high voltage (or current), it gives the effect of short-circuit. After the surge is over, the resistor offers high resistance to make the gap non-conducting. EEP Editors must check the contents of an article to conform to electrical engineering principles. 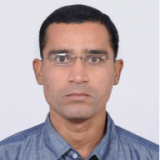 Because the articles are taken to be unique and free of mistakes, which Mr.Jignesh Parmer has committed, is merely misleading. Five years back I did ask him a technical question related to Harmonics mitigation in Tertiary winding of transformer, for which the answer is still awaited. Under the heading “TYPES OF ARRESTORS ACCORDING TO CLASS”. Here, under,1- Station Class , and 2-Intermediate Class “above the 20 mVA range”,and “use on equipment in the range of 1 to 20 mVA”, respectively, rating of the of the equipment is given as mVA, which is wrong and needs correction. Under the heading of WORKING PRINCIPLE OF LIGHTNING ARRESTOR, the following sentence is not correct especially in the context of the discussion. Would you kindly comment? Hi thanks for the value information. Do you have something about the injure that a damage lighting arrester may cause to a distribution system? Could you please explain why the BIL of station class arrestors is higher than distribution class arrestors, but the discharge voltage is lower? I am trying to understand why we have station class arrestors (distribution voltage) on some distribution installations and distribution class arrestors on transformers and other equipment. We only have the station class arrestors on some distribution located where we have a 69 kv circuit above it. Also resistance of non linear resistor ‘decreases’ as voltage or current increases. It does not increase. i want to know the calculation to finding the effected area of lighting arrester. Hi. Could u please send his email for me if it is impposible. Because I study about this subject and I want to speak with him. Not always. It can also be connected to an equipment that is not grounded. Interested in reading a lot. Want to know why frequent failure of surge divertors is their in MV 6.6KV systems with vacuume contactor and fuse application for motors. I have noticed what i believe could be a typing error in the section “Types of lightning arresters according to class”. In the station and intermediate class sub-sections, the ranges of arresters are given in mVA as in milli Volt-Amperes. Shouldn’t it rather be MVA as in Mega Volt-Amperes?